I had enough time to make it through two books this month. One of them was a typical choice of mine- a book about youth ministry. The other was one that I came across on Instagram one day. It was a pleasant surprise! 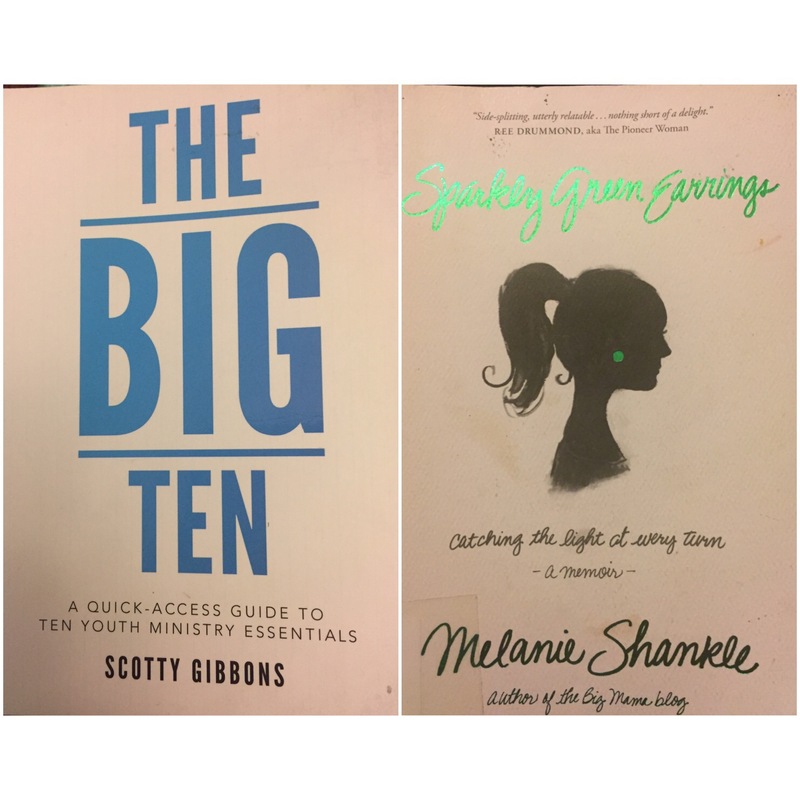 The Big Ten by: Scotty Gibbons – This was a small and easy read. It was packed full of great information for anyone involved in youth ministry on any level. It covered many points- almost every aspect of ministry that you could think of. These main concepts include Campus Ministry, Discipleship, Small Groups, Planning Events, Budget, Youth Leader Volunteers, Communication, Using Scripture, and Speaking. We have been in this area of ministry for many years, and we came across concepts that we had not yet applied to our group. Learning and Ministry is a never ending process. Don’t ever stop trying to grow. If you are looking for your next book, check out one of these! !